Now the U.S. is funding terrorists to topple the Syrian government of President Bashar al Assad. Empires are evil to the core. They kill, maim, divide and conquer–they do whatever it takes to get ultimate control and total power. An independent, self-determined Syria cannot be allowed to exist in the eyes of the U.S. Empire. Russia was asked by the Syrian government to help defeat Al Qaeda, so they are there in Syria legally, but the United States is in Syria uninvited. Once again, interfering with a sovereign state, our government is in violation of international law. Russia and China will always be threats to the U.S. Empire until they are conquered. That’s how empire thinkers think. This article–Trump Protects Al Qaeda, “The Resistance” Applauds, Cursing “Russians” by Glen Ford, Black Agenda Report executive editor on September 6, 2018–says that Trump is carrying on the imperialistic tradition of Obama and Bush, and that liberals too perceive Russia as the enemy. it is sad, very sad, and it’s unfortunate when we find out we have been lied to in so many ways about so many things by the government, the mainstream media, the church and school. We are living in a matrix–a social matrix. The Buddha also said we live in an illusion, a perceptual and conceptual matrix. It now seems like the book 1984 is an understatement. It’s time for more people to wake up. It’s time for more people to wake up. “Traditional Buddhism has little to say about social concerns. It is difficult to avoid the conclusion that Asian Buddhism has never offered much hope of reforming society. The social world is part of samsara, the realm of suffering and craving, and the Buddhist path offers an individual alternatives to that, not a political solution to the social ills.” In other words, Buddhism does not provide a distinct social program, but it can add a spiritual dimension to the Global Peace and Justice movement. “The Fourteen Precepts of Engaged Buddhism” click here by Thich Nhat Hanh (April 12, 2017) can also provide wisdom for the Global Peace and Justice movement. 1. Do not be idolatrous about or bound to any doctrine, theory, or ideology, even Buddhist ones. Buddhist systems of thought are guiding means; they are not absolute truth. 2. Do not think the knowledge you presently possess is changeless, absolute truth. Avoid being narrow-minded and bound to present views. Learn and practice nonattachment from views in order to be open to receive others’ viewpoints. Truth is found in life and not merely in conceptual knowledge. Be ready to learn throughout your entire life and to observe reality in yourself and in the world at all times. 3. Do not force others, including children, by any means whatsoever, to adopt your views, whether by authority, threat, money, propaganda, or even education. However, through compassionate dialogue, help others renounce fanaticism and narrowness. 4. Do not avoid contact with suffering or close your eyes before suffering. Do not lose awareness of the existence of suffering in the life of the world. Find ways to be with those who are suffering, including personal contact, visits, images, and sounds. By such means, awaken yourself and others to the reality of suffering in the world. 5. Do not accumulate wealth while millions are hungry. Do not take as the aim of your life Fame, profit, wealth, or sensual pleasure. Live simply and share time, energy, and material resources with those who are in need. 6. Do not maintain anger or hatred. Learn to penetrate and transform them when they are still seeds in your consciousness. As soon as they arise, turn your attention to your breath in order to see and understand the nature of your hatred. 7. Do not lose yourself in dispersion and in your surroundings. Practice mindful breathing to come back to what is happening in the present moment. Be in touch with what is wondrous, refreshing, and healing both inside and around you. Plant seeds of joy, peace, and understanding in yourself in order to facilitate the work of transformation in the depths of your consciousness. 8. Do not utter words that can create discord and cause the community to break. Make every effort to reconcile and resolve all conflicts, however small. 9. Do not say untruthful things for the sake of personal interest or to impress people. Do not utter words that cause division and hatred. Do not spread news that you do not know to be certain. Do not criticize or condemn things of which you are not sure. Always speak truthfully and constructively. Have the courage to speak out about situations of injustice, even when doing so may threaten your own safety. 10. Do not use the Buddhist community for personal gain or profit, or transform your community into a political party. A religious community, however, should take a clear stand against oppression and injustice and should strive to change the situation without engaging in partisan conflicts. 11. Do not live with a vocation that is harmful to humans and nature. Do not invest in companies that deprive others of their chance to live. Select a vocation that helps realize your ideal of compassion. 12. Do not kill. Do not let others kill. Find whatever means possible to protect life and prevent war. 13. Possess nothing that should belong to others. Respect the property of others, but prevent others from profiting from human suffering or the suffering of other species on Earth. 14. Do not mistreat your body. Learn to handle it with respect. Do not look on your body as only an instrument. Preserve vital energies (sexual, breath, spirit) for the realization of the Way. (For brothers and sisters who are not monks and nuns:) Sexual expression should not take place without love and commitment. In sexual relationships, be aware of future suffering that may be caused. To preserve the happiness of others, respect the rights and commitments of others. Be fully aware of the responsibility of bringing new lives into the world. Meditate on the world into which you are bringing new beings. From “Interbeing: Fourteen Guidelines for Engaged Buddhism,” Revised edition: Oct. 1993 by Thich Nhat Hanh, published by Parallax Press, Berkeley, California. Today is September 11, 2018. We should constantly remind ourselves and not block it out of our consciousness that there was a massive terrorist cover-up 17 years ago, and what are we doing about it? Does anyone care? It is easy to fall into the fog of all of this, but we have to wake up. Philosophy and Theology Professor David Ray Griffin’s books about 9/11 make him my all time favorite hero. He is a wise man, and I hope he can live for many more years. 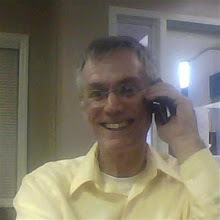 Roger Copple has written mostly for www.OpEdNews.com (70 articles). He has a website calledwww.NowSaveTheWorld.com . Next Announcing new webinar series!